Classic Film and TV Café: An Interview with Jon Provost from "Lassie"
One of the most popular child actors of the 1960s, Jon Provost recently appeared as one of the guest stars at the 2014 Western Film Fair. In between signing autographs and chatting with his many fans, Jon agreed to do an interview. 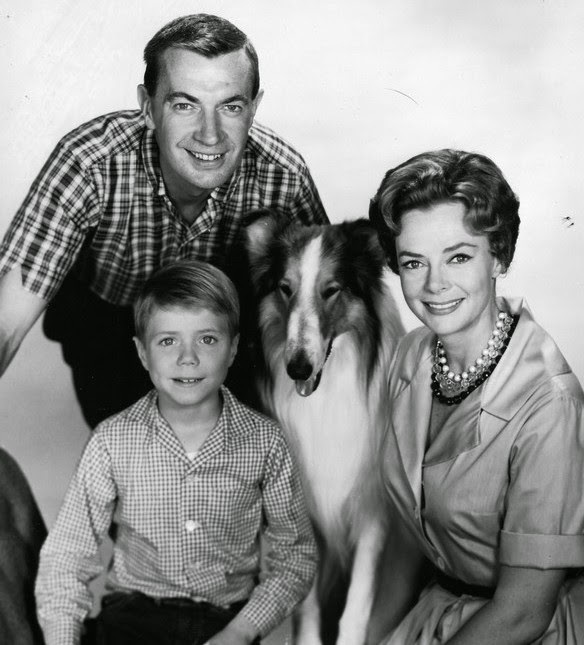 Still as charming as when he played Timmy, Mr. Provost talked about his career before, during, and after Lassie. Café: Your 1957 film All Mine to Give is an extremely moving tale about a frontier family in which both parents die. You played one of the sons at age 6. Realizing that you were about the same age, do you have any memories of making this film? in Back from Eternity (1956). 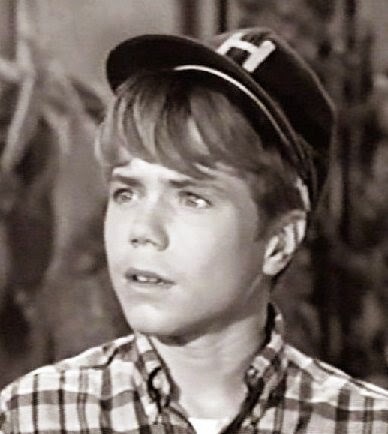 Jon Provost: All Mine to Give was the third movie that I made, so I was probably age 5 which would make it 1955. 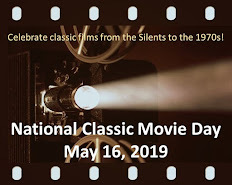 The very first two movies that I made, So Big with Jane Wyman and Sterling Hayden, and The Country Girl with Bing Crosby and Grace Kelly, I have no recollection at all. But starting with All Mine to Give, Back from Eternity, and Toward the Unknown, I remember all of those. Café: How did you break into show business at age 2? JP: My parents weren't Hollywood people. My father is from Alabama and my mother is from Texas. They met in Hollywood and got married in the 1940s. Growing up on the farm, my Mother's idol was Jane Wyman. Well, we were living in Pasadena and Mom read in the L.A. Times that Warner Bros. was looking for a two to three-year-old boy to be in this movie with Jane Wyman. My Mom thought if she took me on the interview, she would meet Jane Wyman and get her autograph. That was the only reason she took me. There were over 200 kids trying out for the part and I ended up getting the job. I'm a real big believer in being at the right place at the right time. Café: In your autobiography, Timmy's in the Well: The Jon Provost Story, you recall an amusing anecdote on how Lola Moore became your agent. Can you share that with our readers? JP: That was for So Big. I had been trying out all day and they were telling the other kids to go home, but they kept telling me to stay. Toward the end of the day, this very flamboyant woman comes up to my mother and says: "I think your son is going to get this job." And my Mom says: "Great, but I haven't met Jane Wyman yet." Then, the woman says: "Don't worry. You'll meet Jane Wyman, but I need to know who your agent is." Thinking she met a real estate agent, Mom said that we owned a home and didn't need an agent. The woman said: "Oh, no, you don't understand. I'm talking about a theatrical agent to represent your son." Mom said she didn't know where to find one of those. The woman said: "My name is Lola Moore and I'm the number one child agent in Hollywood." Mom asked if we had to pay her. Lola said: "No, I just take 10% of whatever your son makes." Mom said: "Okay, I can live with that." So, at my first audition, I got the job and I got an agent--and Mom got a lot more than her autograph from Jane Wyman. 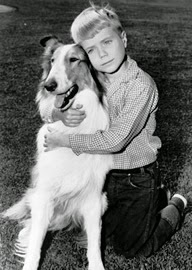 Café: Tommy Rettig preceded you as Jeff on Lassie. 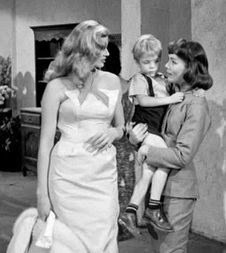 The two of you also played the same character at different ages in the 1952 film So Big and later guest-starred together on The New Lassie. Did you know him very well? JP: Yes, Tommy and I kept in touch over the years after the series. It was really neat on The New Lassie series to have him do an episode. He was a great guy. Unfortunately, he died very young. 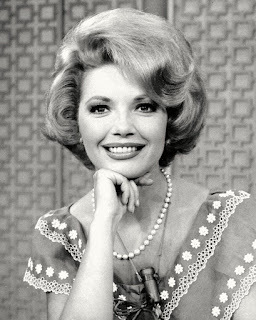 Café: Cloris Leachman played your mother on the first season of Lassie and then was replaced by June Lockhart for the next six years. What was it like working with the two of them? JP: If you look at the demeanor between Cloris Leachman and June Lockhart, they're pretty opposite. That's why Cloris wanted out of the contract. She figured she wasn't baking cookies for six years. She treated me nicely. The same with June. June and I have kept in touch over the years. She just turned 89 years old in on June 5th and she's still working and in great shape. Café: Rudd Weatherwax owned and trained Pal, the original collie in the MGM movies. 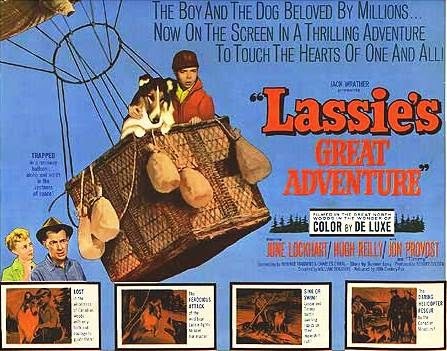 During your seven seasons on Lassie, you worked with three of Pal's descendants: his son Lassie Jr. and grandsons Spook and Baby. Which collie was your favorite and why? JP: I worked with Baby for five years straight. Obviously, he and I really bonded. He was my favorite and I also thought he was the most intelligent of the ones I worked with. They were all great dogs. Café: Didn't Rudd Weatherwax give you one of the Lassie pups for a birthday present? JP: Yes, when I started the series at age 7, Rudd told me: "If you don't bug Lassie for the first year, don't pull his tail, don't ride him, and don't sit on him, I'll give you a Lassie puppy the next year." So, the next year, I got a Lassie puppy for my birthday. It was a male and I named him Rudd after Rudd Weatherwax. Café: What was it like being a child star in the 1960s? 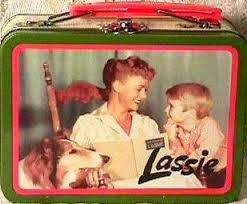 A lunchbox with Lassie, June, and Jon. JP: It was totally different than the way it is today. I would get tons of fan mail sent to the studio--and to our home, because my mother would put our return address on the fan mail. If someone wanted a photograph, she would tell people that if they were ever in the neighborhood to stop by and say hi. And people did! Well, you sure can't do that today. Café: What led you to leave Lassie in 1964 at age 14? JP: I was really just tired of playing Timmy. I was growing up, I was going through puberty, I was getting interested in girls, and everybody thought of me as little Timmy. The studio wanted to go for three more years for a total of ten. But the option was ours and my parents asked me if I wanted to do Lassie for three more years or if I wanted to quit and do other stuff. I wanted to do other acting. I was just tired of being Timmy. It was time to move on. Café: Do you have a favorite episode of Lassie and, if so, what was it? JP: My favorite episode was a three-parter called "The Odyssey." In it, Lassie inadvertently got locked in the back of a big tractor trailer truck, got hauled halfway across the country, and had to find his way home. By the third episode, we had figured that Lassie was never coming home and, in the last scene, Timmy is burying Lassie's toys in a special place. In the background, you hear this bark and then over the hill comes Lassie. I watch it today and I cry. Café: Wasn't one of the multi-part episodes turned into a theatrical film? JP: That was Lassie's Great Adventure. That was the only thing we ever did in color. I did over 250 episodes and only that five-parter was in color. It was the last year and those episodes were shot in Technicolor so they could be released as a movie after the series was over. Café: You appeared on Mister Ed in the 1965 episode "Jon Provost Meets Mister Ed." It has a great scene in which you talk to Ed and note he's almost as smart as your dog. After you leave, Ed mutters: "Almost as smart as his dog? I'd like to see his pooch make a phone call." What was it like working on Mister Ed compared to Lassie? Jon as a guest star on Mister Ed. JP: Let's put it this way: I went from the smartest dog to the smartest horse. Alan Young, Connie Hines, and the horse were all great. The director of that series was Arthur Lubin and he directed me in a movie called Escapade in Japan for RKO in 1956. That movie is what actually got me the part of Timmy on Lassie. So, it was kind of neat to work with Arthur Lubin again that many years later. Café: You have long been involved with Canine Companions for Independence, an organization that provides service dogs to the handicapped. What can you tell us about this organization? JP: Canine Companions for Independence is a national organization that supplies service dogs totally free of charge to people that have disabilities other than blindness. There are five training centers throughout the United States. I was on the Board of Governors for 25 years. I just resigned last year. We've placed over 3500 dogs totally free of charge to the recipients. If anybody knows someone who has a disability and might need a service dog, they can go to the website: www.cci.org. A few years ago, we also implemented a wounded veterans program that provides service dogs for the guys and gals coming back from Iraq and Afghanistan who may be missing limbs or with other disabilities. Café: Do you have a dog today? JP: Yes, we have a little rescue. I've always had dogs, but I'd always raised them from puppies and they've always been pure bred. When we lost our last dog, which was a beagle, my wife and I decided to do a rescue. We rescued a senior "special eds" dog, which was a real challenge. We've had him for about five years. He's the best dog we've ever owned. His name is Buddy and he is the total Heinz 57.
it's still a great photo. Café: The checkered shirt and jeans you wore on Lassie are on display in The Smithsonian next to Archie Bunker’s chair. And Lassie continues to air throughout the world daily. What do you think is the secret to its enduring appeal? JP: It's that bond...that relationship between a boy and his dog. It's a universal thing. I think it's just that. That's why they call dogs man's best friend. You can learn more about Jon Provost and check out his upcoming appearances at his web site: www.jonprovost.com. You may also be interested in his autobiography Timmy's in the Well: The Jon Provost Story, which was co-written with Laurie Jacobson. Great interview, Rick! Seems like a swell guy and it's nice to hear a positive outcome for a child actor. Yeah, Hollywood life was certainly different back then. Canine Companions for Independence sounds like a wonderful organization- glad to hear he's active in that. I thoroughly enjoyed reading this interview, Rick! Mr. Provost sounds like a truly nice fellow who was raised well and learned to work hard and compassionately. His face still seems very gentle and caring. I was delighted to read that Rudd Weatherwax gave important instructions on being kind to dogs that were both taken to heart and resulted in Mr. Provost receiving a pup of his own. It was wonderful to read how active he has been with Canine Companions for Independence. This was a truly heartwarming interview and I thank Mr. Provost for sharing his life with everyone here at the Cafe. Love reading this interview!!! I always loved the Lassie shows and I love the information on the Canine Companions for Independence. Thanks for sharing! I want to watch "Lassie" right now! It was a great pleasure reading your interview with Mr. Provost. Back then it was more wholesome. Gone! -- Today is debauchery and perversion. How utterly unfortunate. I have had a crush on Jon Provost ever since "Lassie." He was adorable...and apparently has grown to be one of the good guys. Loved this!!! I am soon to be 74 and I loved this show..am watching it right now at 4 A.M. very good to see the bonding between man and dog..